The rebounding defender was in career-best form prior to rupturing the ACL in his left knee against St Kilda at Adelaide Oval in Round Seven. Jaensch underwent a traditional knee reconstruction, which ruled him out for the remainder of the season. The former rookie announced his immediate retirement from the AFL in late February, citing a loss of passion for the sport. Jaensch enjoyed a career-best season in his fifth year at West Lakes. 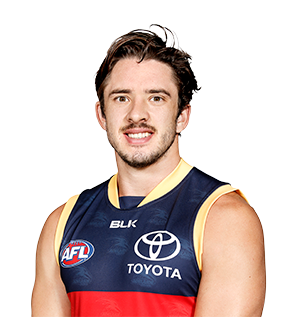 The former rookie played all 22 games, using his elite foot skills to set-up Adelaide’s attack from the back half. Jaensch took more marks (126) than any other Crow and also ranked second at the Club in metres gained (9,042m) behind Brodie Smith. He also ranked second at Adelaide in rebound 50ms (89), and third in handball receives (193). Notched up his 50th game against Greater Western Sydney in Round Five and earned a two-year contract extension. The neat-kicking utility played 11 senior games in 2013. Jaensch started the year at half-back, but was also tried in a half-forward role with some success, kicking an equal-career high three goals against Carlton. 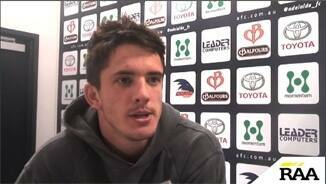 Finished the season in the SANFL, where he showed he was a cut above the rest of the competition. Jaensch played nine of the opening 12 games of the season, providing offensive run from half-back. 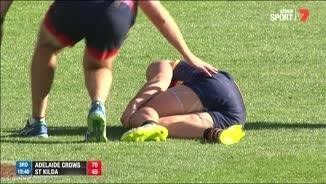 The long-kicking defender was hampered by a groin injury in the latter half of the season, and surgery eventually put an end to his season before finals. 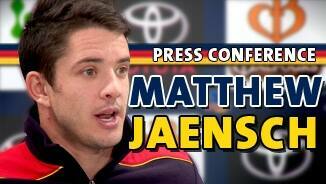 Jaensch will be a Crow until at least the end of 2014 after signing a new contract. Following a promising debut season as a small forward in 2010, Jaensch held down a permanent spot in defence last year. The neat-kicking 22-year-old averaged 18.5 disposals across half-back and was on track for a break-out season before suffering a shoulder injury, which required surgery, against Essendon in round 17. Despite missing the last month of the season, Jaensch was recognised with the Emerging Talent award at the Crows Club Champion night. His best game came against Melbourne in round seven, where he amassed 27 possessions, five marks and three tackles.